I want to take admission in the Amrita University? 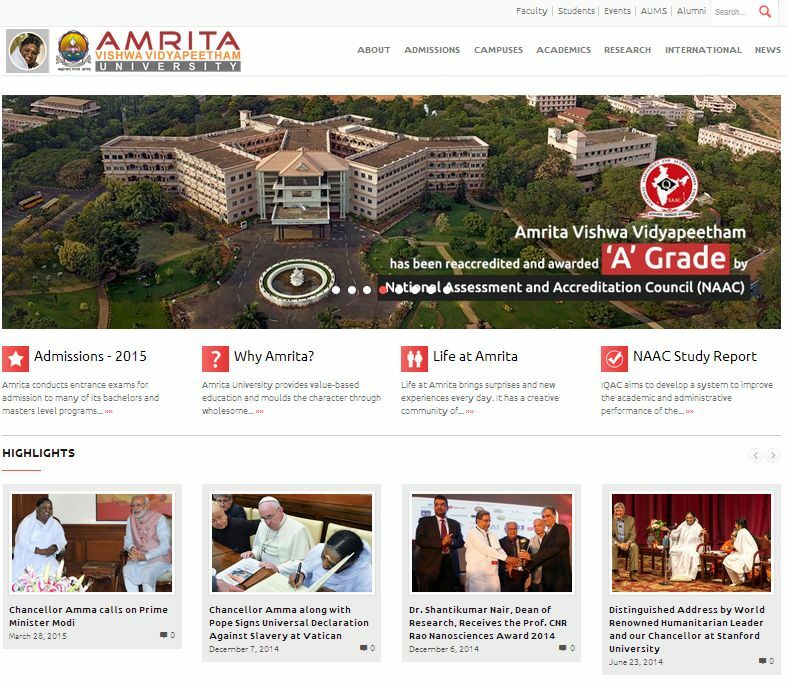 So I am searching for the Home Page of the official website of the Amrita University? Can you please tell me about this? The Amrita University was started by the world-renowned humanitarian leader, Sri Mata Amritanandamayi Devi. The Amrita University is a multi-campus, multi-disciplinary research university that is accredited 'A' by NAAC.